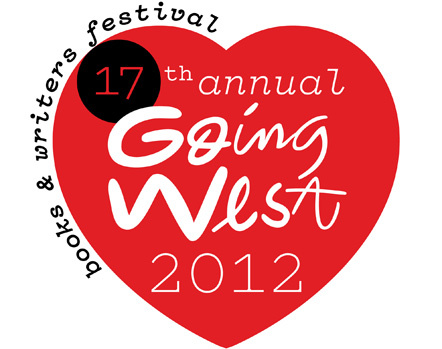 The full programme for the upcoming 17th annual Going West Books and Writers Festival won't be released until next month, but I'm pleased to share the news that there will be at least one New Zealand crime writing event at the festival, with Paul Thomas scheduled to appear to talk about his latest book, DEATH ON DEMAND. As I wrote about earlier this year, Thomas - who in a way is the godfather of contemporary Antipodean crime writing - returned to the crime fiction fold earlier this year with his fourth Ihaka novel, following a fifteen year hiatus. It is great to see him back, further bolstering the growing Kiwi crime fiction canon. You can read more about Thomas, his crime writing, why he's returned, and DEATH ON DEMAND, in my New Zealand Listener feature article here. Going West Books and Writers Festival is a month-long celebration of words and books, featuring over five major events. From the local schools touring programme to the infamous Books and Writers Weekend (14-16 September), there will be something for everyone to enjoy. You can read more about the Books and Writers Weekend here.